Michael started climbing a good number of years ago during a particularly cloudy, fuzzy time in his life. 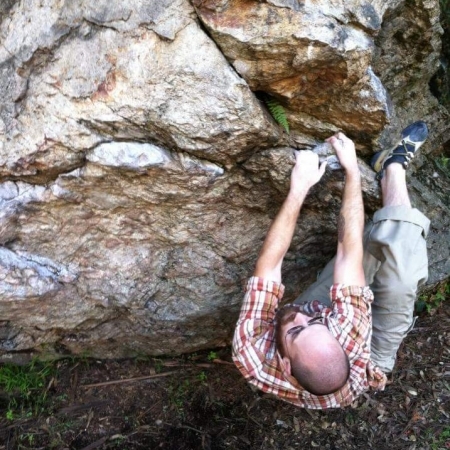 As with many climbers, rock climbing helped Michael bring his life into focus and connected him with the forests and mountains that he loves. Michael runs the EPIC Group Strength Class and Grip Strength Class. Michael loves the community at EPIC and meeting new members of that community. What does he love about climbing? The feeling of moving with the rock, but in the gym it’s about pushing mental and physical limits.